Zomato food Carnival Offer - Zomato has announced "Zomaland" a food & entertainment carnival wher you can enjoy great food, Stunning attractions, Incredible entertainment at one place. Currently, Zomato Zomaland event will be in Delhi, Pune and Bangalore. And for these cities, Zomato has already started pre-registration through App. Zomato COO Gaurav Gupta, said, “We view ourselves as a food company, which aims at giving users the best food experience in online as well as offline. We believe that if there is an experience to be built around food, entertainment. Zomato has a significant role to play in making it happen. Zomato says that this Zomaland a carnival will be a complete celebration of food and entertainment in one space. The first edition of Zomaland food and entertainment carnival will take place in Delhi (January 18-20) followed by Pune (February 8-10) and Bangalore (March 1-3). So download the app now and Sign up and be the first to get updates on Zomaland - artists, food stalls and more! Sign up and be the first to get updates on Zomaland - artists, food stalls and more! Zomato’s Food Carnival Is Here. Get Exclusive Access To Zomaland. What to Expect of Zomaland? When will the Zomato Zomaland Food Carnival be Organised? Thank you to everyone who came out???????? Zomaland will take place in Delhi at Jawaharlal Lal Nehru Stadium, with early bird tickets available at a price of Rs. 350. Zomato Gold members can access a specially discounted Zomaland ticket price of Rs. 250. The tickets can be booked through the Zomato mobile application, which can be downloaded on all smartphones. If you happen to live in Delhi, Pune, or Bengaluru, then what we are about to tell you something that will sweep you off your feet cause the excitement that comes with this news is hard to contain. For those who love Zomato in all its forms, for such lovers, it’s time to go beyond the mere definition of love and let Zomato flow through their veins. Want to know what has got us talking so much about your love for Zomato? Well, for that you have got to put on your reading glasses on and read through. Zomato is making its biggest move in India till now and organising a food carnival called ‘Zomaland’. This food carnival is Zomato’s entry into the experiential events space. For all you food lovers, Zomaland will be a treat in every way. It will be featuring top chefs and eateries from across the nation. There will be interactive installations, and performances from some of the most renowned musicians. Who doesn’t like tapping their feet to their favourite tunes while having mouth-watering delights served in the most pumped up atmosphere? In our knowledge there only a handful of people who could even think of turning their backs to such an opportunity. Zomato has promised that this carnival will have everything that a regular carnival usually does. So you can definitely expect games, phone booths, street performances, and an area for the little ones to let loose in their own way. Zomaland dates have been announced and since then the fans have been desperately waiting for the carnival to knock at their city gates. In Delhi, Zomaland will debut on January 18 and will last till January 20, whereas in Pune the tents will be erected from February 8 to10. For those living in Bengaluru, the wait will be a little longer but no to that long either. The people of Bengaluru will have to up their appetite from March 1 to 3. Zomato has not yet revealed if there will any entry fee for the festival or not. We suggest you keep a tab on that and constantly track the progress. If we were to go by what Zomato has announced so far, there will be over 100 hand-picked eateries in all the three cities and all the foodies will have eight food zones to explore during the carnival. In Zomaland, people will have the privilege to grab a bite of international as well as local cuisine. Not just that, there will be loads and loads of entertainment for all those who step a foot inside Zomaland. In simple words, if you were a food zombie, then Zomaland would be your paradise. It’s just going to be that mind-boggling. 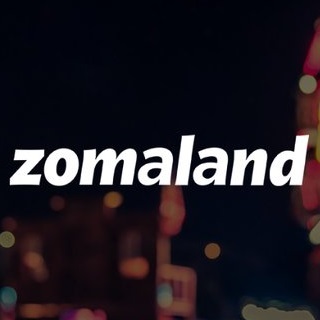 For those who are wondering why their cities have been left out in the initiative, Zomato has promised to further its horizons and extend Zomaland to cities far and wide, in the near future. This will include cities outside the nation as well. If you want to keep getting the latest updates on Zomaland then you must download the Zomato app. With that, you will get exclusive access to Zomaland, its latest updates, and more. The grandest carnival is coming to your town! Pune peeps, reply with your favourite emoji to show your excitement! To the grandest carnival of em’ all! Delhi folks, tag your friends! Fasten your eat-belts and get ready for Zomaland! ???? Bengaluru, comment below with your favourite food emoji.???? Here’s a little bit more about what #Zomaland has in-store ??? ?